The Santa Rosa County Sheriff’s Office receives many complaints regarding unauthorized solicitation practices and or aggressive solicitation sales tactics. The Santa Rosa County Sheriff’s Office recognizes that not all solicitors fall under this category. To help protect the citizens of Santa Rosa County as well as the authorized solicitors who have followed the rules of obtaining and paying for a permit, we have but together this information to help answer questions regarding this issue. actual solicitor along with their name, date of birth,and employer’s name and address. 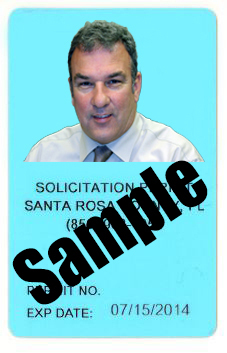 soliciting or no canvassing sign posted on or adjacent to entrance to subdivision or neighborhood. uses of the proceeds or contributions. 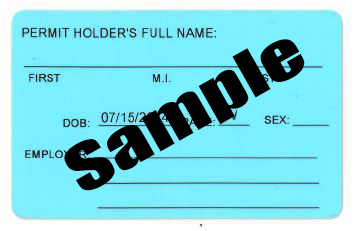 Permits can be verified with the Clerk of Santa Rosa County at (850) 983-1975. Sheriff’s Office non-emergency telephone number (850) 983-1191.